Jasper Jones has come to my window. I don't know why, but he has. Maybe he's in trouble. Maybe he doesn't have anywhere else to go. Late on a hot summer night at the tail end of 1965, Charlie Bucktin, a precocious and bookish boy of thirteen, is startled by an urgent knock on his window. His visitor is Jasper Jones, an outcast in the regional mining town of Corrigan. Rebellious, mixed-race and solitary, Jasper is a distant figure of danger and intrigue for Charlie. So when Jasper begs for his help, Charlie eagerly steals into the night by his side, terribly afraid but desperate to impress. Jasper takes him through town and to his secret glade in the bush, and it’s here that Charlie bears witness to Jasper’s horrible discovery. With his secret like a brick in his belly, Charlie is pushed and pulled by a town closing in on itself in fear and suspicion. In the simmering summer where everything changes, Charlie learns to discern the truth from the myth, and why white lies creep like a curse. 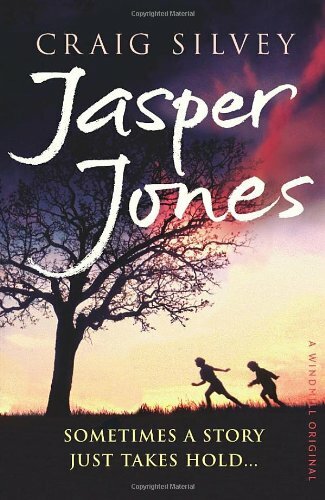 By turns heartbreaking, hilarious, tender and wise, Jasper Jones is a novel to treasure. I'll be posting a few shorter reviews in the upcoming weeks for books I've read but don't need to write full-length reviews for. But I still enjoyed them, so I want to review them to some extent.